I requested John Whaite’s ‘John Whaite Bakes’ as one of my Christmas presents and was lucky enough to receive it. 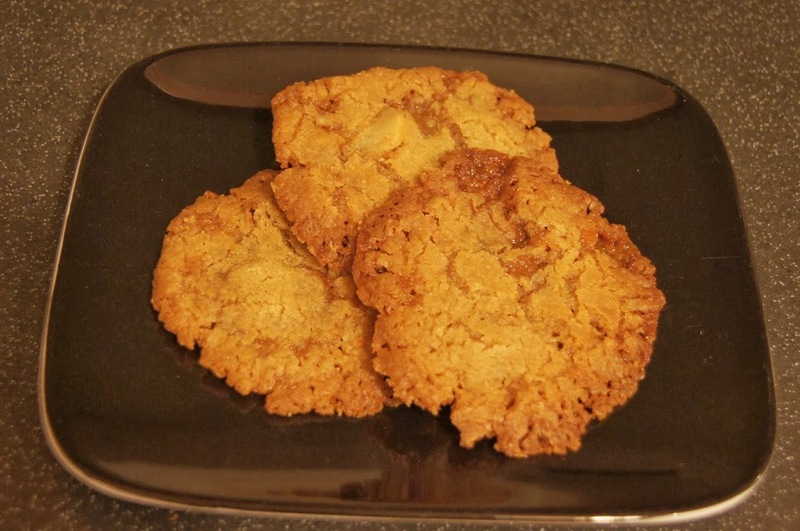 Yesterday was a day to bake cookies and after trawling through some recipe books I remembered spotting this one and decided to give it a go. I will be honest and say I wasn’t 100% happy with how they turned out. I’m not sure what quite went wrong (although I suspect it’s either baking them for too long or making them too small in size) but they still taste ok. They are crunchy rather than chewy in texture. The recipe is supposed to make 20 however I only managed to make 17. I received Lorraine Pascale’s ‘Fast, Fresh and Easy Food’ as a Christmas present from Mr Birdie. One of the recipes that caught my eye was this ‘Dulce & banana cake’ which is an upside down banana cake with a sticky toffee topping. 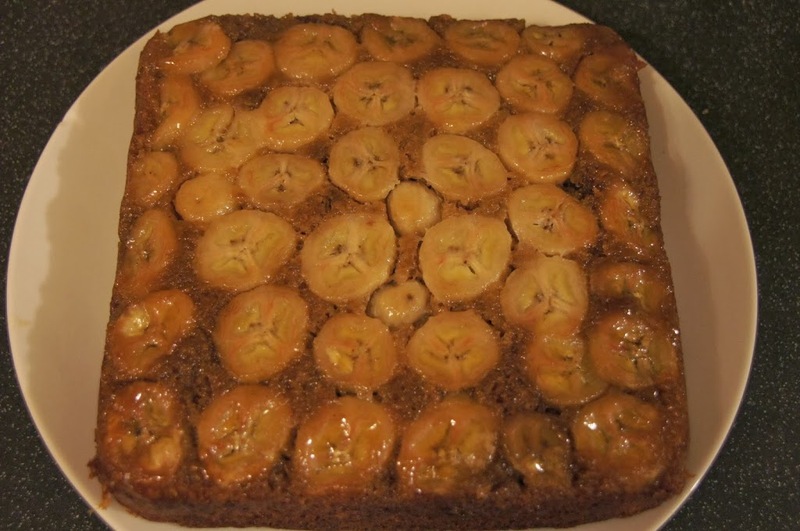 I am a big fan of banana cake and had been keen to try making it. This weekend gave me the opportunity to try it out as we had a training day at work today and I thought it would make a good break time snack. It was definitely well received and kept our brains going. It works well cold as a cake or warm as a dessert with cream or ice cream. You can find the recipe here on the BBC website. You will need a 20cm square tin. Just before the New Year I bought a packet of fresh cranberries which until today had been sat in the fridge. I knew I wanted to try making some muffins with them. I thought I would probably go for cranberry and white chocolate as this is a combination of flavours I like but after some research I found the recipe for these blueberry and cranberry crumb muffins which looked interesting (and also vaguely healthy given they’re packed full of fruit!) 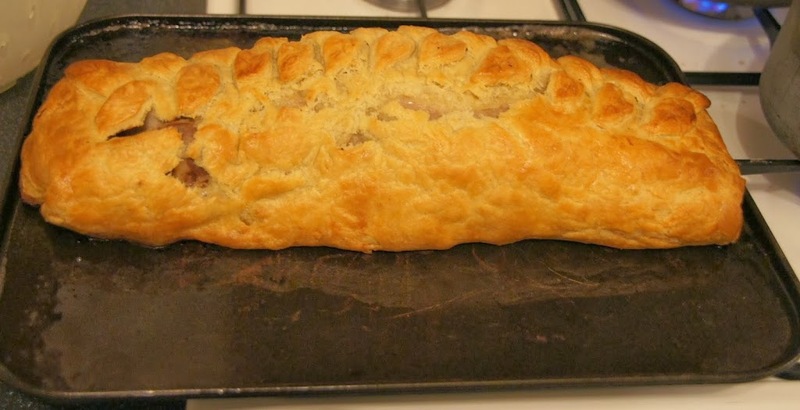 It is an American recipe from a blog called ‘Oh Sweet Day!’ which you can find here. You’ll need cups or alternatively if you’re going to convert the measurements I find this page from Delia’s website handy. The batter is quite thick but don’t let this disconcert you! 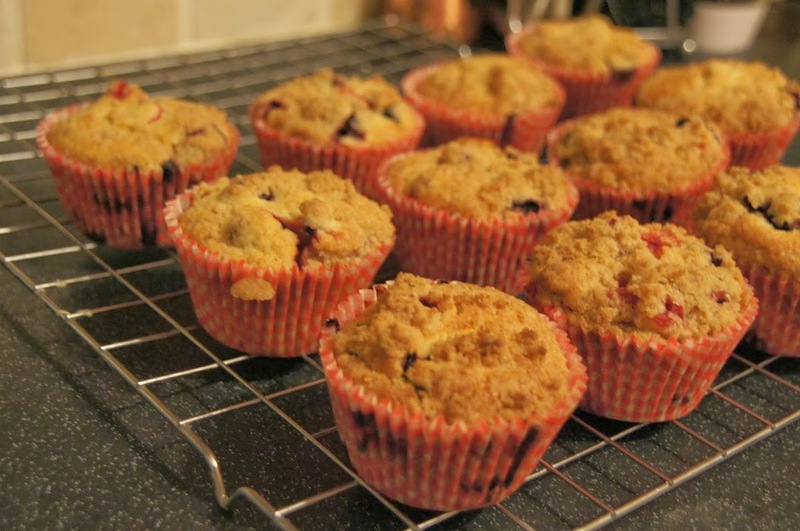 The crunchy crumble topping makes a nice contrast to the fruity, moist muffins. I made 15 muffins from this mixture.